GEPR HOME >The Smart Grid Blazes a Trail for Renewed "Smart Japan"
The Smart Grid Blazes a Trail for Renewed "Smart Japan"
It's hard to find a day when the words "smart grid" don't appear in the newspaper. Usage of this term is becoming pervasive, although the general understanding of its meaning may be limited to just a new kind of power grid. The idea of "smart grid" is not new, but its significance is new in the sense that the whole world has focused attention on it as a key plank of Green New Deal introduced by the Obama administration. Coinciding with the launch of the Obama administration, in fact, the debate over smart grid introduction to Japan sprung up, and has continued. But the severe accident at Fukushima Dai-Ichi Nuclear Power Plant triggered by the 3.11 East Japan Earthquake caused a power shortage crisis that made the smart grid gain status swiftly as a viable solution. Again, "smart grid" with its newness prompts the usage of "next-generation power grid" as a synonym at times, but I feel that "intelligent power grid" provides a more precise understanding. But what does "intelligent" refer to? Power grid becomes intelligent by combination with information network over the conventional power grid. The information network envisioned here is internet. This combination does not require physical one as network installations—a logical combination will do. Using a personified description, logical combination means that power grid believes internet can help her, and internet believes he has a role to help power grid, and in effect, the relationship between them establishes "smart grid" as a system. The primary role of internet assisting power grid consists of making power consumption visible—visualization of power consumption for each home, business (office, factory), and even each appliance and any electrical devices. The second role is controlling power consumption of the above mentioned items. For this second role to be fulfilled, everything from houses, buildings, and appliances to electrical devices must be connected to internet. These things connected to internet become "smart things—such as, smart house, smart building, smart appliance, etc. Does that mean our houses connected with power line and internet are smart houses? Unfortunately, not. Currently, internet in our houses does not believe he has a role to help power line, and power line does not believe internet can help her. For our homes to become smart, at the very least a "smart meter" needs to be installed. As one "smart thing" a "smart meter" is a power meter with internet connection. "smart meter" was originally planned for the purpose of remote metering to eliminate human intervention by a meter reader. As the smart grid era arrives, however, visualizing and controlling power consumption become its role of greater importance. A smart meter, therefore, can provide consolidated visualization and control of power consumption for the entire house. A true smart house, however, must be equipped with HEMS (Home Energy Management System). Housing Industry is ready to deliver smart houses equipped with HEMS. The effective functioning of HEMS relies on smart appliances, which are not quite prevalent yet. The TV set I replaced last year for digital TV broadcast reception is connected to internet, but not for the purpose of visualizing and controlling power consumption of the TV set. internet connectivity provides video content access. So this is not a "smart TV" in terms of the smart grid. Appliances have no internet connection yet, so they are not smart, either. The solution arriving on the scene is called "smart outlet", "smart tap", or "smart socket": an outlet with a function to measure power consumption. The "smart" designation happily identifies internet connectivity also. Plugging a conventional TV set or existing appliance into this intervening tap enables visualization of power consumption of TV set or appliance. Let's remind ourselves over the reasons for the recent focus on the two applications of smart grid: visualization and control of power consumption. As stated earlier, the Great East Japan Earthquake of 3.11 led to the severe accident of Fukushima Dai-Ichi Nuclear Power Plant and subsequent power shortages. The two applications have gained status as viable responses to the power shortage crisis. Described as a stable supply structure, Japan's electrical power system was a glorious organization preemptively equipped with power generation plants to cover maximum peak power, standing at-the-ready for peak demand. As evidence of this glory, we never experienced any power outages in our daily lives, and consumed with abandon high-quality electricity of extremely steady voltage and frequency. This structure held a serious drawback, however. The system maintained massive facilities that remained idle in preparation for peak demand of a few days out of a given year, and only a few hours for each of those days. Power demand varies greatly over 24 hours each day. If demand for peak time (1 p.m. to 3 p.m.) could be suppressed (peak cutting) or moved to a time of low demand (peak shifting), and if power demand could be leveled with minimal fluctuations within 24 hours, then massive facilities remaining idle would no longer be necessary. To enable peak cutting and peak shifting, therefore, visualizing and controlling power consumption are required. The mechanism focused on demand and equipped with visualizing and controlling power consumption is called DSM (Demand Side Management), and the economic mechanism that includes co-op fund payouts for peak cutting and peak shifting to support DSM is called DR (Demand Response). The stable supply structure of Japan was glorious up until 3.11. DSM was unnecessary. Visualizing and controlling power consumption was unneeded, while DR, which saw its introduction in the U.S. nearly 10 years ago, was entirely unnecessary. But after 3.11 everything has changed. Supporting the foundation of Japan's stable supply structure, nuclear power generation was greatly impaired, and the stable supply structure became extremely difficult to maintain. Last summer, usage restrictions of electricity were enforced on the basis of the Electricity Business Act, Article 27, and the nation squeaked by. Repeating of such state-controlled economy for this coming summer would reveal too little wisdom on our part. Even if not entirely, a partial introduction of DSM-DR should take place to demonstrate positive economic effects and validity to the citizenry and industry who comprise the demand side. Moreover, the stable supply structure is an excessively luxurious system for developing nations with an outlook toward infrastructure demand, and is hardly competitive as a strategic export. If Japan could design an electrical power system based on DSM-DR that leveled demand as flatly as possible, such a system would contain know-how with considerable export competitiveness. The "smart-ization" of things that is supported by smart grid, or, in short, the massive emergence of "smart things" with internet connectivity has advanced to smart homes, smart meters, and smart appliances described above, and furthermore to smart vehicles, which are PHVs (plug-in hybrid vehicles) and EVs (electric vehicles) that tap into power line. As a result, the first applications addressed visualization and control of power consumption. Next, the storage batteries of smart vehicles are deemed viable as storage batteries within the smart grid. There are expectations for their contribution to leveling power demand, too: the batteries can be charged with electricity when the power supply has reserve capacity, and discharge during peak demand times. With respect to storage batteries, large-scale electrical storage facilities that currently cannot cover their costs will also be expected to gradually reach economic viability as DSM-DR provides supporting economic rationale. What is more, the massive emergence of "smart things" connected to internet ("smart-ization") will form Internet of Things (IOT) for human-to-machine and machine-to-machine (M2M2H: Machine to Machine to Human) communication like the current internet for human-to-human communication. The possibilities for applications running on this platform are yet to be discovered. The situation is quite similar to the mainstream arrival of internet in the early 1990s. Nobody had any inkling about YouTube or Twitter or Facebook. Although pushed by the misfortunes of 3.11, Japan is compelled to promote a new system for the smart grid, which is IOT, and is starting to consider an opportunity to lead its application. I fully recognize that "opportunity" is an inconsiderate expression to the many people who suffer from the aftermaths of 3.11, who must still unwillingly live with inadequacies, and who are standing up against tough conditions. Nonetheless, I further borrow the word "opportunity," and dare say, that changing this crisis into opportunity delivers recompense to the many who made the ultimate sacrifice. In that belief, I wish to commit my even with my limited ability to building a smart, renewed Japan. 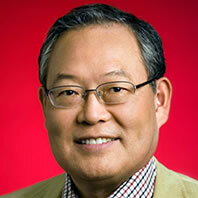 About the Author Norio Murakami, former Vice President of Google (U.S.) and former President of Google Japan; Executive Research Fellow and Professor at GLOCOM International University; Special Visiting Professor at Keio University Graduate School; Advisor at Aizu University; currently engaged in smart grid research.